Choosing the best coffee filter will require a little experimentation on your part. Gear yourself up with knowledge and then set out down the path that makes the most sense for your method of choice, health, and preferences. What’s Your Definition of the “Best” Filter? The best coffee filters for you may be different from the best coffee filters for your neighbors. It depends on your body, your taste, what your coffee maker requires (unless you’re shopping for one of those too!) and how important an environmentally-conscious option is for you. It boils down to personal preference in the end, but there are a few things to consider if you’re thinking about making a switch to a new type of filter. Each type of filter comes with its own list of pros and cons, and not every filter or filter type will work with every type of machine. Here’s a quick look at some of the features each type of filter offers. It’s up to each coffee drinker to consider what’s most important to them. 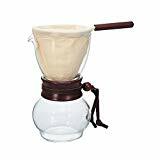 The obvious purpose filters serve is to keep coffee grounds out of your pot or cup of coffee and to hold the water in with the grounds just long enough for it to pick up the flavor as it flows through. 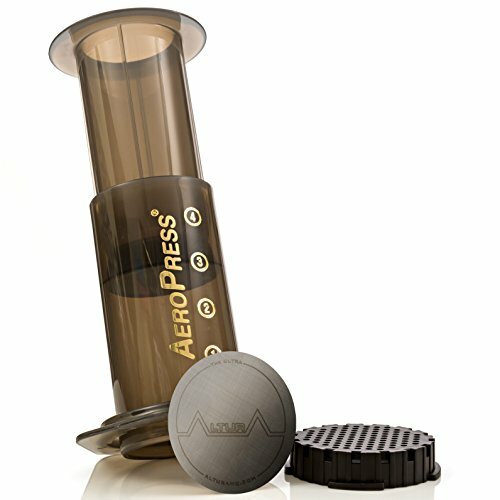 However, different types of filters can affect the flavor of your coffee by either adding flavor from the material itself or subtracting it (and taking away some of the bitterness in the process) by holding on to the oils. Health experts haven’t come to a unanimous conclusion as to whether those oils are a benefit or detriment when they make their way into your cup (some say that the oils in coffee raise LDL levels), so research and experiment to see how you feel and determine which filters yield coffee that tastes the best to you. There’s more to your filter choice than the practical aspect that meets the eye. The best option here depends solely on the shape of your coffee maker’s filter holder. There’s no best shape that will affect the flavor of your coffee or how much of the oils from your coffee actually make it into the pot. There is no difference in how environmentally friendly they are beyond the permanent versus disposable aspect. They simply need to be the correct shape to fit into your coffee maker so you won’t have spills across your counter or grounds in your coffee as it brews. If your filter holder has a round top and a taper toward the bottom, choose cone-shaped filters. Flat on bottom? Go for the basket type of filter, which is flat on the bottom and gently flares out toward the top. 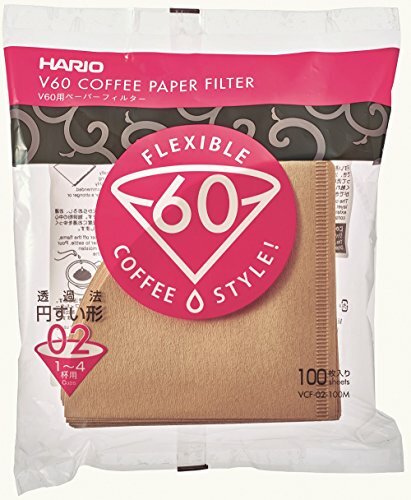 At the most basic level, there are paper and metal/nylon filters to choose from. However, there are different types of paper and metal that could fall under these categories. Fun fact: The first coffee filter was designed by a German housewife in the early 1900s. She used her son’s blotting paper. Things haven’t changed much since then. Though there are plenty of alternatives on the market today, paper filters are ubiquitous. They’re easy to find in stores and work with most common coffee-making methods. 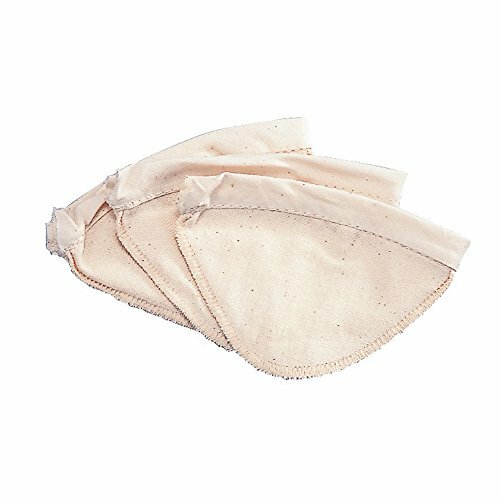 Cloth filters are also used with Toddy Cold Brew systems but they’re disc-shaped and flat rather than cone-shaped with an opening in the middle. Paper and bamboo coffee filters are disposable, so you use them once and toss them—and their messy grounds—away. Permanent filters are the nylon or metal ones that you have to empty out and rinse clean after each use. These need to be cleaned regularly by hand or in the dishwasher to maintain the fresh taste of the coffee brewed in your machine. A dirty filter can cause the coffee to taste stale or “off” in other ways. Brown or white really means unbleached (brown) or bleached (white). Worried about chlorine in your coffee from using the bleached version? You don’t really have to. The major coffee filter makers (like Melitta, which uses oxygen to naturally whiten the filters) no longer use chlorine in the process, at least in the United States. White coffee filters tend to be less expensive than the white or bamboo options but some people report a change in flavor when they use them. Others consider them perfectly fine to use and don’t find that they alter the flavor of the coffee in any way. Brown filters are slightly more expensive and as natural as they come. Because less processing is involved, they’re better for the environment than the white filters. 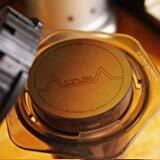 Some people notice that these filters affect the taste of their coffee more than white filters. Rinsing the filters first can help reduce that. Bamboo filters are better for the environment all around since bamboo grows more rapidly than trees and regrows on its own when cut. The flavor of your coffee shouldn’t be altered much when you use bamboo, but again, this is up to your palette’s sensitivity and personal preference. 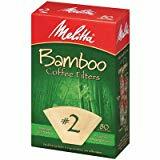 You may notice a paper flavor from the bamboo and be fine with brown or white paper filters made from trees. Others may love bamboo filters and detect a paper flavor from the other paper filters. In most cases, if you’re choosing a metal filter, it will be stainless steel. Some have gold plating on top of the stainless steel. Some coffee drinkers are fine with the stainless steel option. Others notice a difference in coffee flavor and prefer the gold-plated steel. The gold is less likely to affect the overall flavor of the coffee, but if you find that you’re happy with the regular stainless basket, you may not want to pay the extra cost for a gold option. Coffee filters come in a variety of sizes. First, choose the correct shape for your brewing method or machine. From there, you’ll need to take into account the number of cups of coffee your coffee maker makes and choose the filter that lines up with that number. Some will have a range they will work with. For example, a #4 cone filter from Mr. Coffee will work in a machine that makes eight, ten, or twelve cups. You can put a paper filter in a metal filter, but it is not usually recommended. Pairing the two together would risk overflow as the coffee was brewing and alter the flavor of your coffee. It will not improve the flavor of the coffee. In fact, it could distort it. Each type of filter has an environmental impact, an effect on the flavor of your coffee, an amount of time it takes to use it, and a cost. You’ll have your own ideas about which type of filter is best for your health based on any research you’ve done and conversations you may have had with a health professional. One person’s best isn’t everyone’s best. It’s a matter of what you need for your flavor preferences, budget, time you have for cleanup, and health. Use this guide as a starting point and experiment with the ones that fit your needs to find the absolute best filter for you. How many teaspoon or table spoons of ground coffee must one use in a pot.